Ryan's jazz class is finally over. All of her Tuesday night classes the past year have been well worth the wait. Yesterday's recital was fantastic! 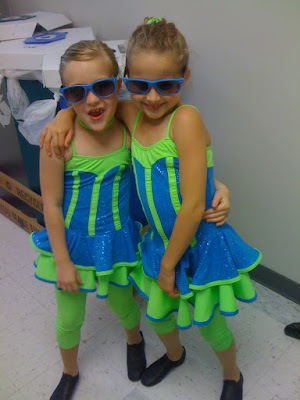 They danced to the song "SuperStar" by Toybox... and for some reason I can't stop singing it in my head. Thanks for the comments girls!!! Love them and yes she was the CUTEST SuperStar!